St Barbara has encountered a setback in its feasibility study for the mass extraction project at Gwalia, resulting in a reduction to production guidance amid higher costs. The mature Gwalia gold mine in Western Australia is facing constraints, as St Barbara ((SBM)) has reverted to trucking its ore after technological obstacles were encountered in a mass extraction feasibility study. The study returned some negative aspects as the company found limits to its technology. The project has already been rolled back several times and the technical risks were understood so Citi finds the news disappointing. The expansion has been delayed further, to June quarter 2020, amid ongoing ventilation constraints. 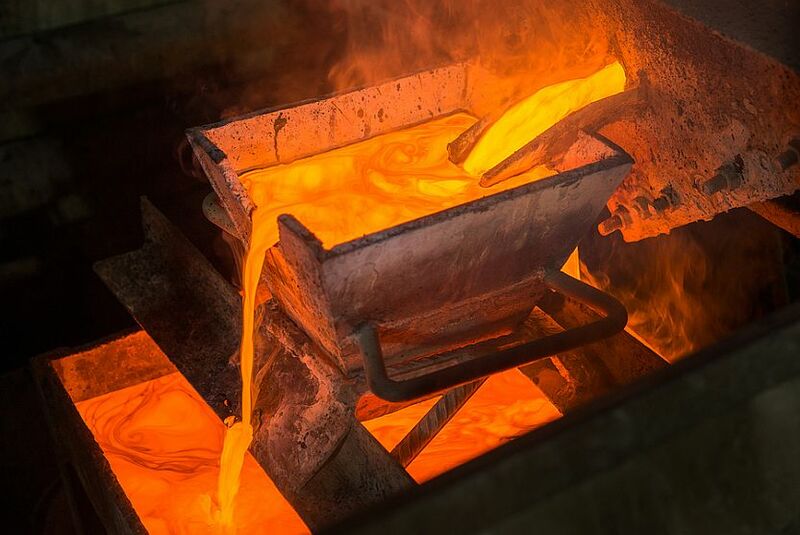 Credit Suisse believes, the decline of -30% in the share price shows the risk inherent in all gold stocks when a generous premium is being attributed. However, the broker defends St Barbara's management, who did not over-promote the potential of hydraulic hoisting and did not tell the market to assume this would be the outcome. Hence, the broker attributes the sell-off to excessive market exuberance. The stock was already trading at a premium to valuation, elevated by prior guidance for higher production at lower costs. The broker, as a result, upgrades to Neutral from Underperform. The feasibility study has shown trucking of ore to be the preferred option to hydraulic extraction. The company will continue to employ trucking in life-of-mine production, to continue to 2031. The technically-challenged concept of hydraulic hoisting, it appears, could cost double the $100m expenditure that was anticipated in the pre-feasibility study. Moreover, the 1.4mtpa rate has proved to be unfeasible, given the shape of the orebody at depth and ventilation constraints. Yet, Macquarie points out the trucking base case will still require an additional $100m in capital while St Barbara could eventually meet the same production rates as was previously planned with hydraulic hoisting, although the timeframe is unclear. Displacement of higher grade ore by development material results in a reduction to guidance for FY19, to 235-240,000 ounces at all-in sustainable costs (AISC) of $980-1000/oz. This compares with the prior guidance of 240-255,000 ounces at AISC of $930-970/oz. Macquarie still expects a reduction in AISC from FY20 because of the freeing up of ventilation constraints. The low point in AISC is expected in FY23 before increasing depth escalates costs. The broker reduces estimates for earnings per share in FY19 by -7%. Reducing the trucking rate at Gwalia while lifting operating costs means earnings estimates are lowered by -19-39% going forward. The main revision for Canaccord Genuity is to production forecasts, with around -20% lower output expected from FY22 amid higher costs. The broker still believes Gwalia provides the company with consistent, long-life production and meaningful free cash flow. While the market has reacted "savagely" to the release of the feasibility study, the broker highlights a very healthy outlook which has been boosted in the short term by the removal of expenditure on the expansion project. Canaccord Genuity, not one of the eight stockbrokers monitored daily on the FNArena database, maintains a Hold rating with a $3.30 target. The database has five Hold ratings and the consensus target is $3.88, suggesting 13.8% upside to the last share price. Macquarie describes the outlook for Gwalia as now less ambitious. Trucking should come with lower risk despite a more modest production outlook. The broker agrees Gwalia is a quality long-life asset. Credit Suisse considers the company's record of conservative guidance and delivering projects on schedule and budget has, until now, been unblemished and this may have provided excess confidence that the value of a leap in technology could be fully captured. One aspect that did not disappoint was the outlook for Simberi sulphide in PNG. FY19 guidance is lifted to 130-135,000 ounces at AISC of $1245-1300/oz. Credit Suisse suspects the positive news on this expansion may offset the value lost by the downgrade to the Gwalia outlook. The sulphide project increasingly appears likely to go ahead. Macquarie, too, expects Simberi should augment the longer term. Nevertheless, the broker suggests the company needs to add another asset and, in this respect, is well-positioned to act on any opportunity that may arise.